HUNTHOUSE FARMS CLASSIC TOUCH (Imp USA) 33.5"
Eclipse from very limited showings is a Multi-Champion and a Reserve Champion in Halter. 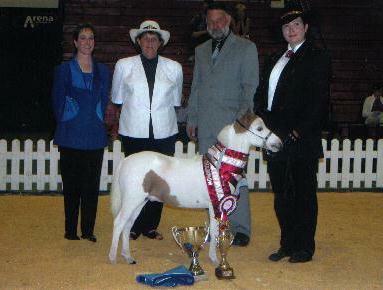 Reserve National Champion Yearling Colt and the Auckland Miniature Horse Club Runner-Up Yearling Colt. 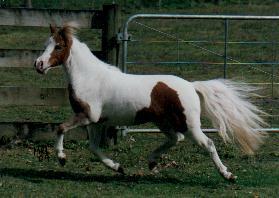 This colt should produce great colour as he as 2 overo half-brothers and 2 tovero full sisters. He is the full brother to two NZMHA SUPREME NATIONAL GRAND CHAMPIONs - 2005 & 2008. 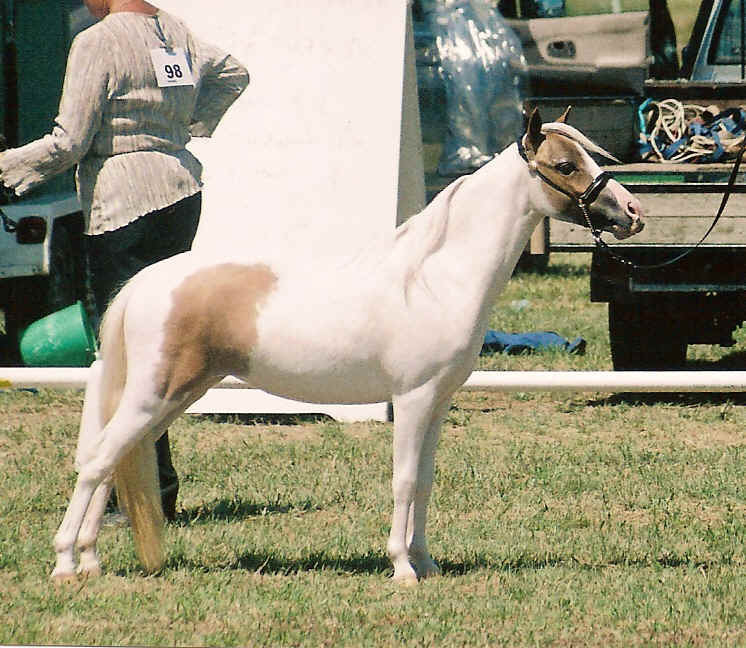 He is a full brother to the 2007 Unanimous National Grand Champion Colour Horse. 3 Supreme National Grand Champions. Go to the Mare page to see her. 3 Supreme National Grand Champions.